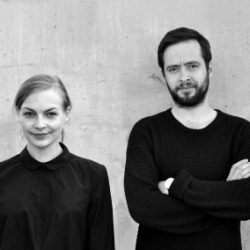 Noidoi Design Studio was founded in Norway in 2013 by Kathrine Lønstad & Cosmin Cioroiu, who met while studying at the Royal Danish Academy of Fine Arts in Copenhagen, Denmark. Inspired by the differing cultural and professional backgrounds of its founders, Noidoi works across a broad spectrum of design, placing an emphasize on usability, materiality and craftsmanship. Our studio is situated two hours north of Oslo, in the beautiful surroundings of Kapp close to the biggest lake in Norway.